There’s so much to love about Thanksgiving already, most of which has to do with those 3 little words… the dinner menu. 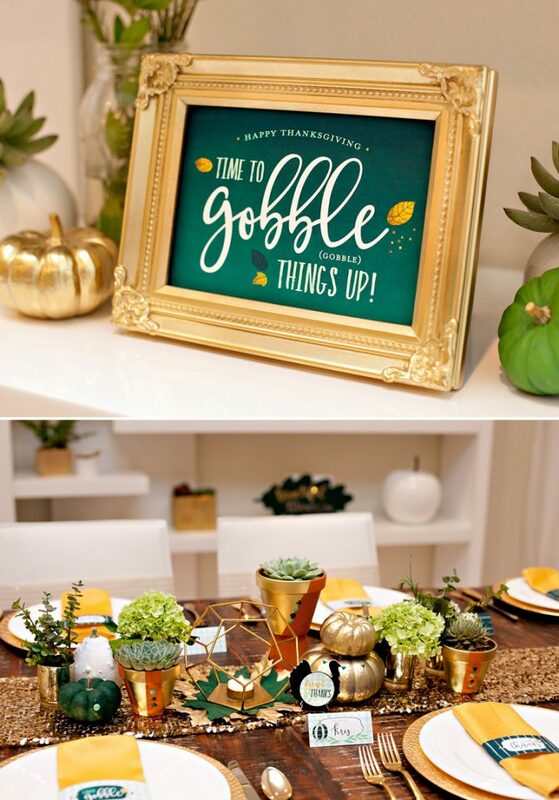 And since most of our must-have Turkey Day dishes are based on family traditions and personal preference, I thought it would be fun to share some tips for making your Thanksgiving decor LOOK as good as your own awesome menu tastes. 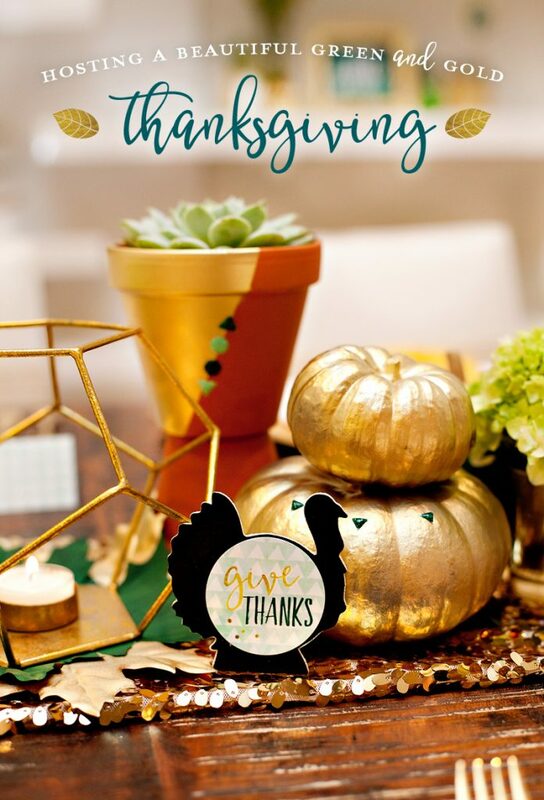 This festive Green & Gold Thanksgiving Theme features a fresh & inviting color palette, simple DIY decor ideas, and a hint of modern-glam. 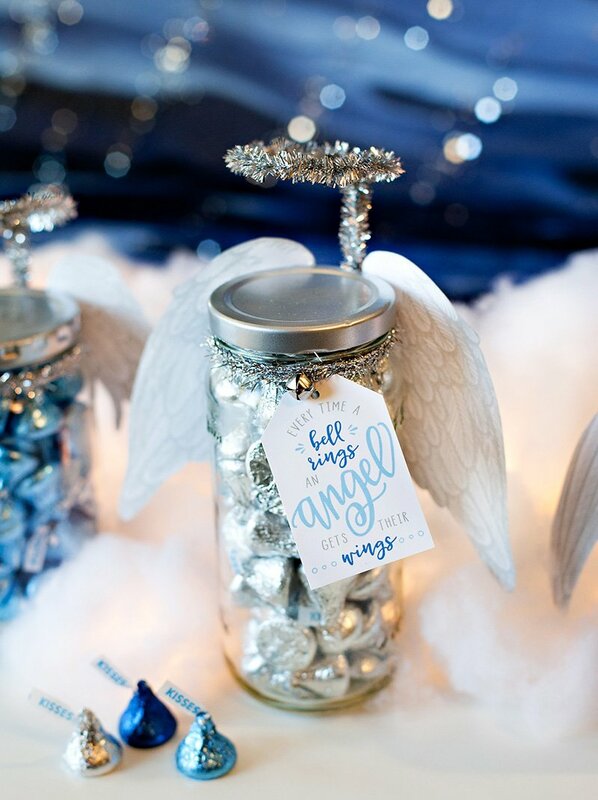 Whoever said Christmas and New Years should get ALL the sparkle?! 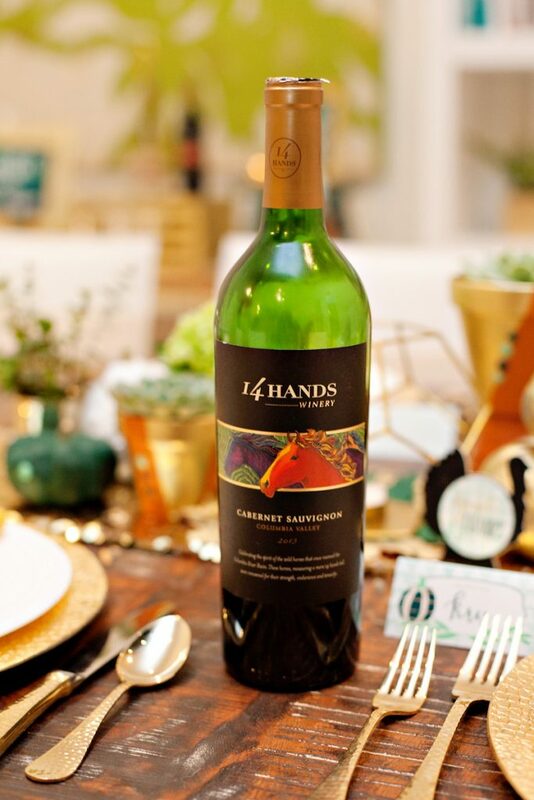 And since I’ve partnered with 14 Hands Winery to bring you these tips – AND lots of free printables! 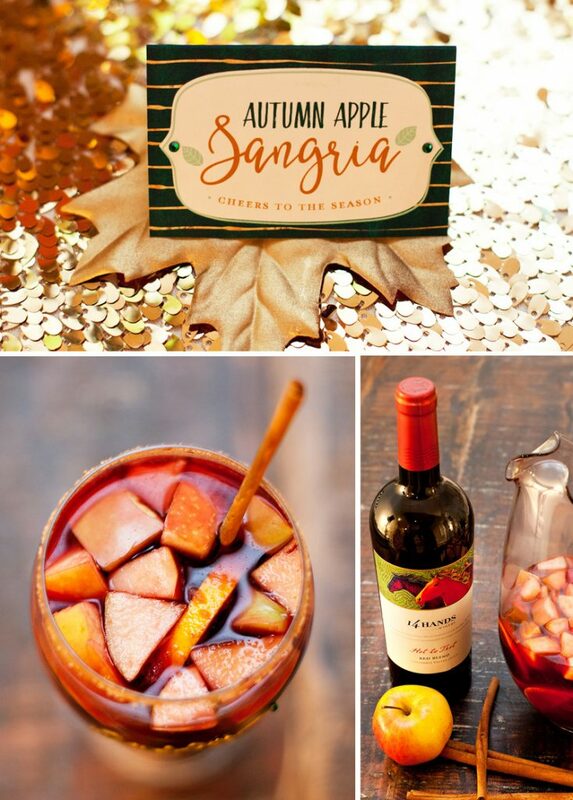 – look out for special ways to deck out those wine glasses too + a tasty Autumn Apple Sangria flavored with cinnamon and apple cider that’s absolutely perfect for Thanksgiving. Here we go! 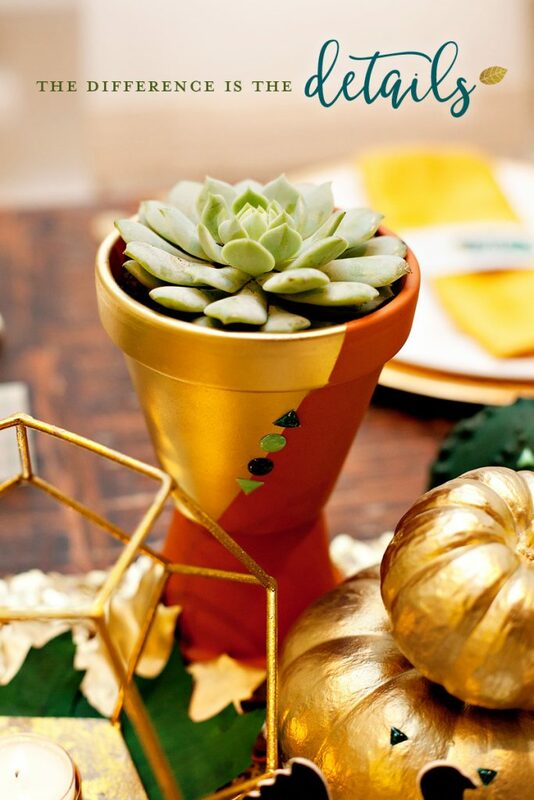 I love using different types of elements in shades of one color to create a unique display – like the green succulents, pumpkins, and fresh florals pictured above. The sequin “table runner” is actually just a half yard of sequin fabric that I purchased at a fabric store and folded in half. (The other half yard is being utilized on the drink station.) 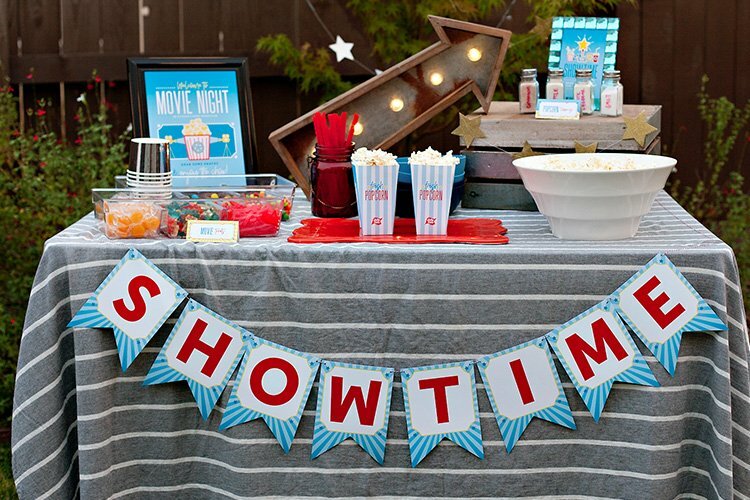 I’ve used this same yard of fabric time & time again for so many different types of parties… cheers to party decor that can be re-used! Never underestimate the power of paper… plus, it’s super budget-friendly too! 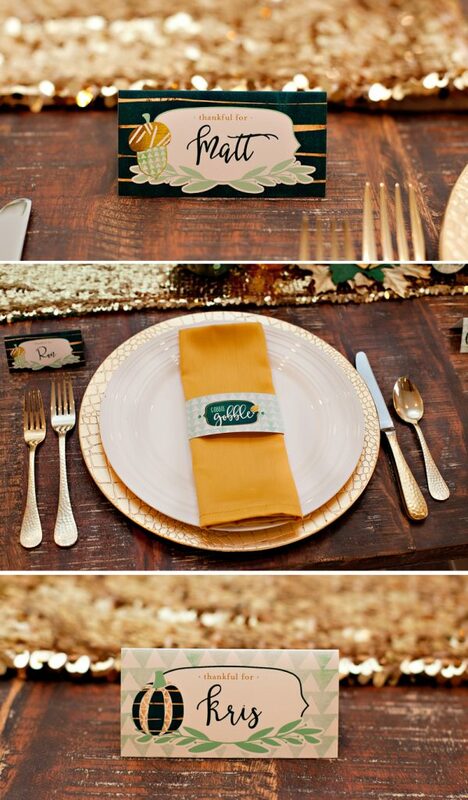 I designed 2 styles of napkin rings, place cards, decorative signs, and more for this theme. You’ll find links to download everything at the bottom of this post. I kept the place settings simple, yet festive. It always frustrates me when place settings are so overdone with decorative elements that you have to dig through 3 layers of decor to locate the plates. 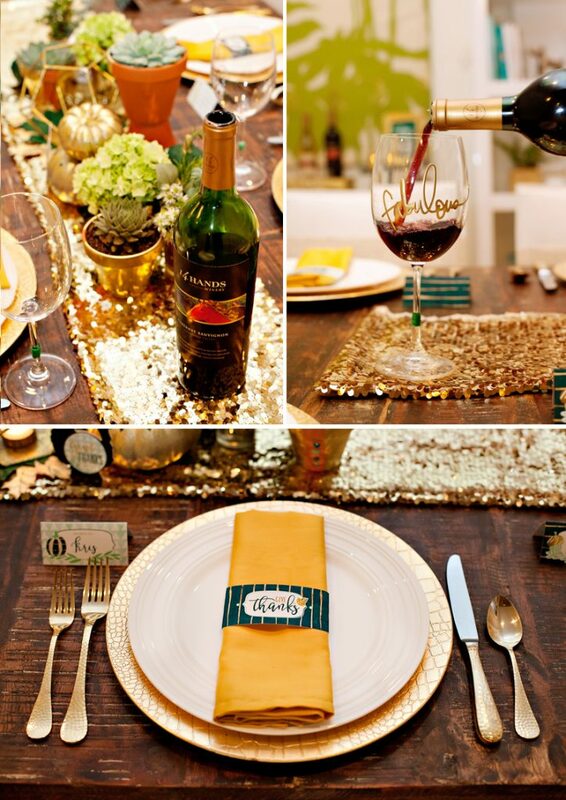 The gold crocodile print chargers and golden yellow napkins were both HomeGoods finds, and I added small green adhesive rhinestones to the paper napkin rings for another touch of sparkle. The script font that I used for the names on the place cards is called Betterfly… it’s one of my new favorites! 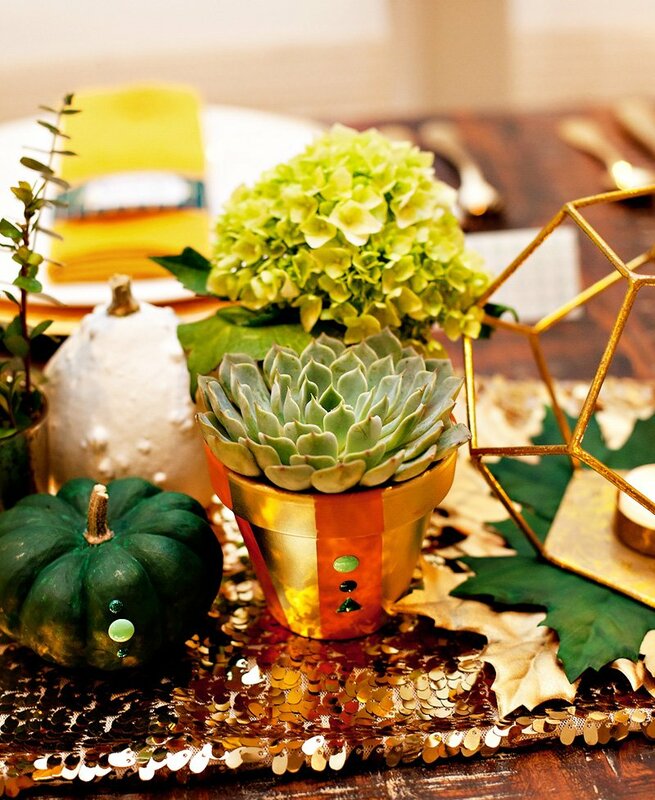 To create the centerpiece, I started by painting mini pumpkins and gourds green and gold. I used acrylic craft paint for the green ones and metallic spray paint for the gold. 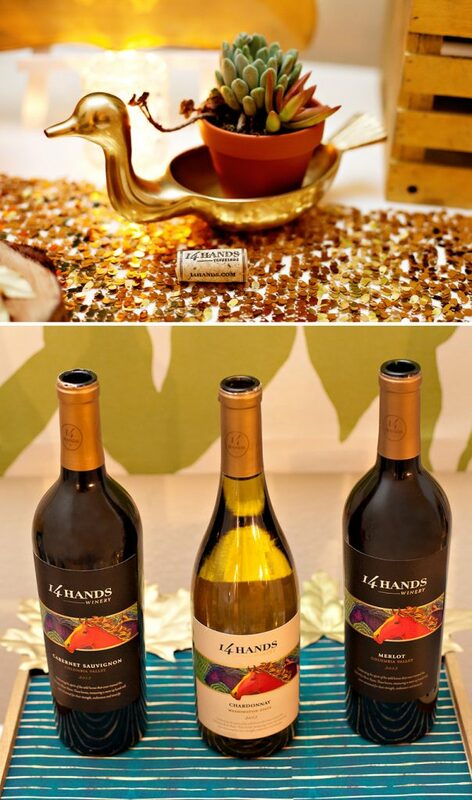 I also covered parts of terracotta pots with masking tape, then spray painted them gold for a bold color-blocked look. The succulents were purchased at at Home Depot. The geometric candle holder in the middle was a recent Target find, and I painted the faux leaves sitting below it green and gold. 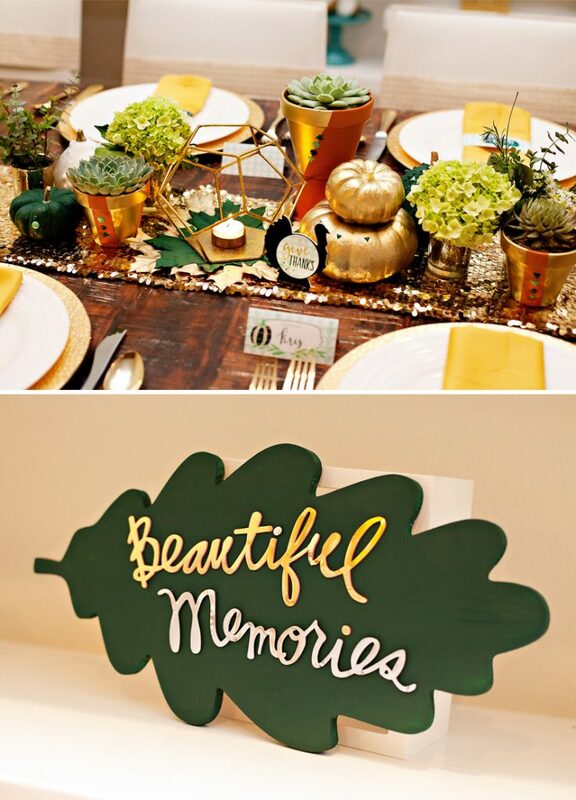 More of these leaves were used throughout the theme – they’re another fast & budget-friendly DIY trick! The “Beautiful Memories” plaque above is actually an unfinished wooden leaf that I found in the craft section at Target. I painted it green with the same acrylic paint as the pumpkins, then added 2 Heidi Swapp “Foam Titles” stickers to the front. 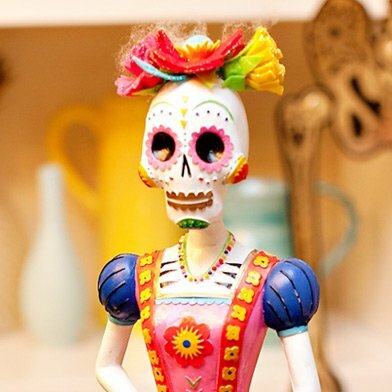 Voila… instant holiday artwork! 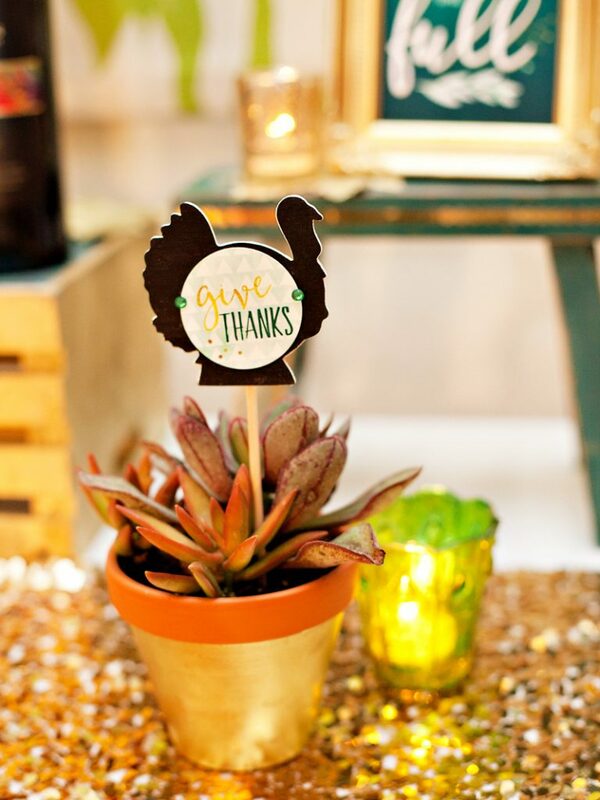 These little wooden turkey silhouettes definitely highlighted the Thanksgiving occasion nicely. I found them at Michaels and think they’re intended to be place cards, which I already had covered, so I added printable party circles and used them as decorative accents instead. A couple are worked into the table centerpieces, and the rest were attached to wooden skewers and stuck into various succulents and florals. 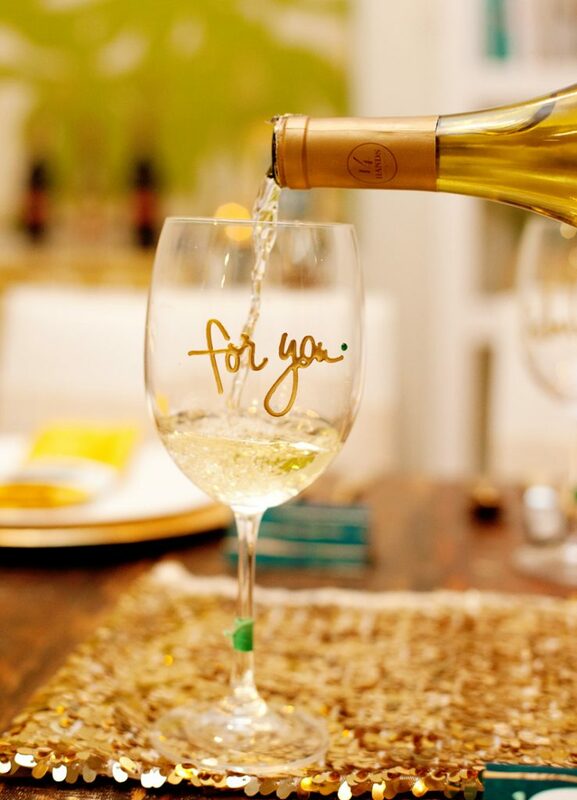 In lieu of traditional wine glass charms, these glasses feature script word stickers with celebratory & happy phrases. Since the words are different, these double as drink markers, too! 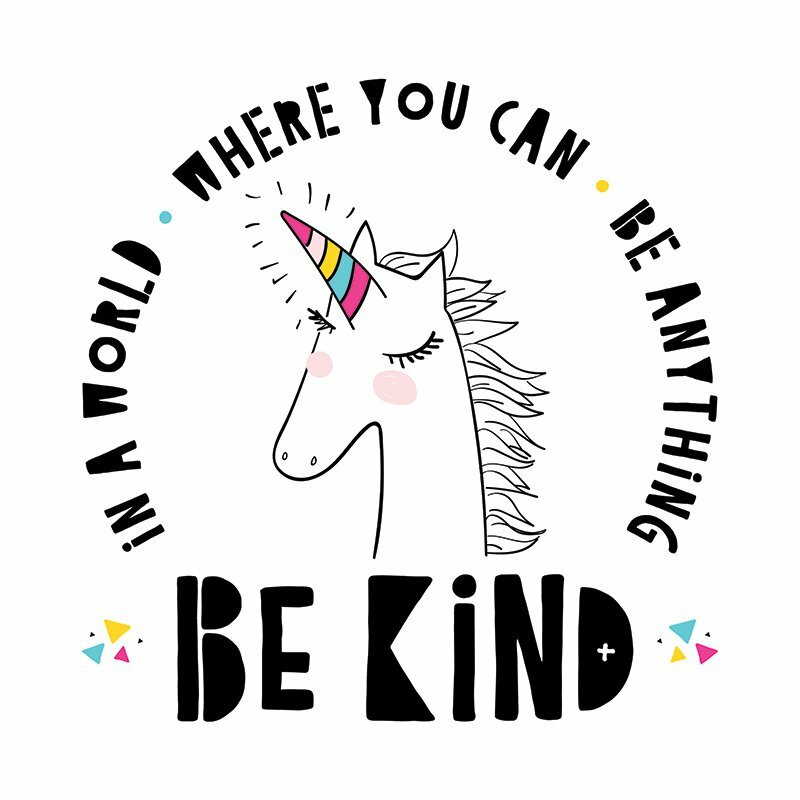 You can find these stickers at craft stores or online. You can leave them black, as they come, or give them a quick coat of gold spray paint like I did here. 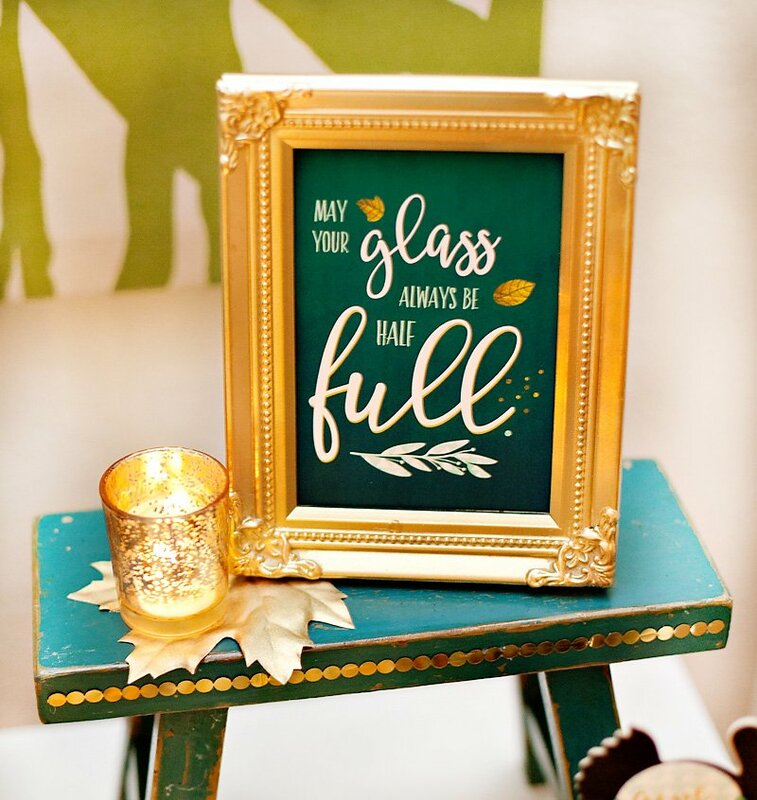 I also added a green rhinestone sticker and a bit of green embroidery thread to each glass for a pop of color. Hi Sallie – I’m so sorry for your loss. :( That’s great that you will be following in your mom’s footsteps though with keeping the family together for the holidays. :) I’m so glad that these ideas will be helpful for you. Have a wonderful Thanksgiving! A Quick note all the way from Holland. Love your items! 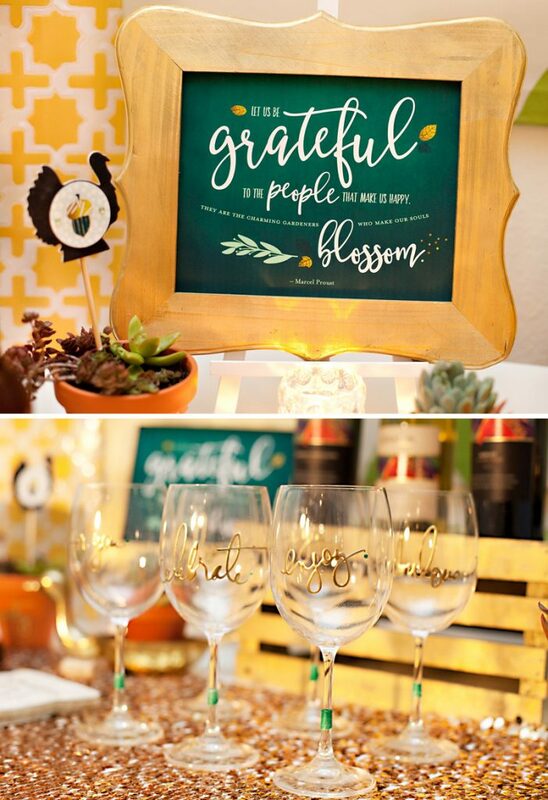 Can you tell me where I can buy the stickers/glass markers you used on the wineglasses. I canot find them. Not even online. Hi Mirjam – Thanks for the kind words! The stickers are called epoxy stickers by Heidi Swapp, and I got them on Amazon then spray painted them gold myself. (You can also find them at some other craft and scrapbook retailers like JoAnn and Michaels, but I’m not sure what’s near you.) Here’s a link to them on Amazon – hope this helps! 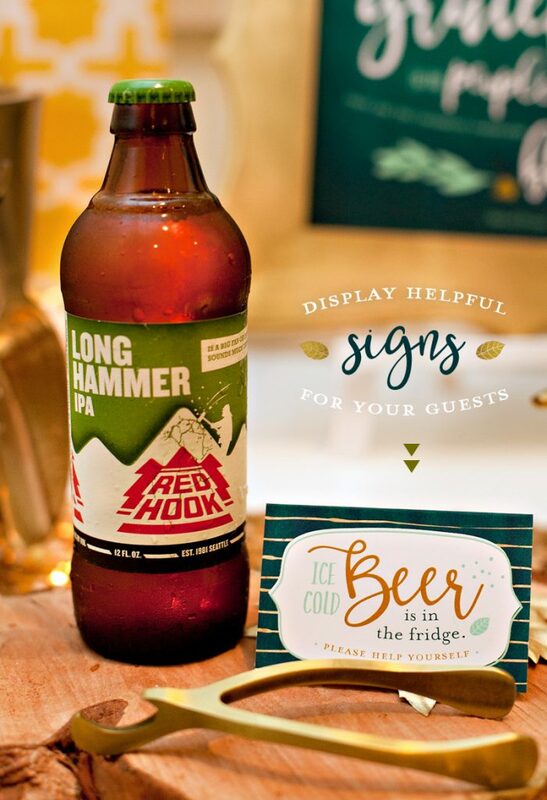 Hello Jennifer, I love the printouts and love this idea for a work event. I would love to use the same concept but would like to know what program you design on. Could you share that information? Hi Tabitha – Thank you! I designed this collection in Adobe Photoshop. I sometimes also use Adobe Illustrator during the design process, but always bring everything into Photoshop for the final designs. Hope that helps!